Yesterday, I took a trip on Mr Brunel’s railway up to Paddington and mused upon the appearance of posts and holes in the ground for the masts for electrification wires, bridge rebuilding and the transformation that is taking place to electrify Isambard’s railway. I marvelled at the magnificent vision that Brunel had for this railway and I imagined that he would have been aghast at how long it had taken to get round to this. I looked at all the other passengers ensconced in their newspapers, books or i-phones, seemingly oblivious and I wished that they had more awareness of what an immense achievement this railway is, as it whisks them effortlessly to their meetings in London. 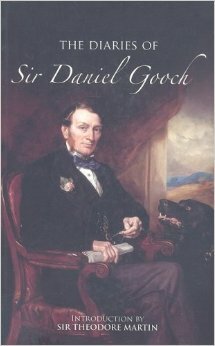 My book for the journey, completely coincidentally, was the Diaries of Sir Daniel Gooch (click on our home page to buy it direct from us) and I found myself starting to see the railway as he had in those heady, early days when nobody knew how to build it, let alone operate them. I was particularly horrified at how, if a train was late arriving at Paddington along the, as then, single track, they would find an engine and go off in search of it. Bearing in mind that even then, speeds of 60 mph were being achieved on the broad gauge line, it is hair-raising to read that all they did was keep an eye open for the train coming their way and would throw the light engine into reverse as fast as they could to avoid the probably fatal head-on collision! It wasn’t as if this was a rare occurrence – it sounded pretty routine: he also recalls doing it heading off light engine into Box tunnel in search of the Express Mail and just escaping! Three things stick out about Gooch: the first was, what a thoroughly nice human being he seems to be – always a good and kind word for people, even his various critics. At one point he is nominated for Parliament and he expresses heart felt gratitude to the people who think him worthy of the role, saying it was one of the best days of his life, much more so than actually being elected to serve for the then constituency of Cricklade. The second is his incredible capacity for analysis of problems, attention to detail and lastly his huge commitment to his work. he always had to be there at whatever was happening, whether it was testing engines or supervising the laying of the Atlantic Cable aboard the ‘Great Eastern’, out there in mountainous seas, as they struggled to establish the first ever telegraphic link with the USA. As Russell Holloway says in his discussion of Gooch’s work in this week’s new members video, it was actually Gooch rather than Brunel who actually built the railway. Brunel was a supreme creative genius but his attention to the how, what and where of engineering was always pretty circumspect and it fell to the 21 year old Gooch (hard to believe but these were extraordinarily innovative times) who built up Swindon works and discovered, by trial and error how a railway worked. 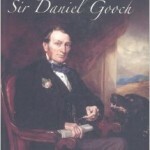 When you consider the innovatory nature of the broad gauge and the massive and vocal opposition to it, even from friends like Stephenson, a lesser man might have moved onto simpler projects but Gooch not only saw it through until the GWR was way ahead of any other railway of the day but he even returned to it as Chairman and oversaw an economically difficult period when expenditure had to be severely cut back. His approach to the task shows his commitment to doing it fairly and in full knowledge and concern of how it might impact on the GWR’s employees. And, on top of all that, he is a good diarist and highly accessible to today’s audience.